If you live in or around Baltimore, you know the city doesn’t have the best reputation. According to NeighborhoodScout.com, Baltimore experiences nearly 30,000 property crimes annually. Yikes! 2012 alone saw 7,770 burglaries, 17,397 thefts, and 3,605 robberies, according to City-Data.com. So how do you protect your home from such crimes? Maintenance: Aluminum provides many of the benefits of wood and wrought iron fencing, without the maintenance. Aluminum will not rot like wood and aluminum will not rust like iron. That’s what we like to call a win-win. Durability: Aluminum fencing is nearly indestructible. These fences are built to last. Powder Coating: Aluminum can also be powder coated, which fuses paint to the metal surface. The powder coating finish is twice the thickness and hardness of a typical acrylic finish. Rakability: Most aluminum fences can be adjusted to the slope of your landscape. 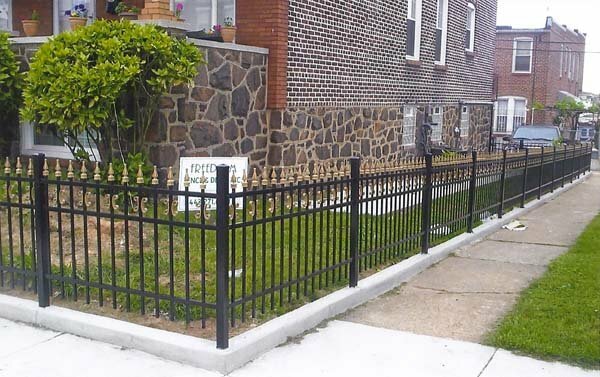 With 40 years of experience, Freedom Fence and Home has provided the highest quality aluminum fence installation to its many residential and commercial clients throughout Baltimore. We also offer an industrial grade aluminum that is 50% stronger that other aluminum fences and uses a locking system requiring no screws. And if that wasn’t enough, every aluminum fence is backed with a lifetime warranty against rust, defects in workmanship and materials as well as chipping, peeling or cracking. Our fencing experts are available to help you select the right design and materials for your business. If you have any questions about Aluminum Fence Installation in Baltimore, please contact Freedom Fence and Home by calling 443-271-6841 or visit our website. You can also follow us on Facebook and Twitter! This entry was posted on Tuesday, May 20th, 2014	at 5:36 pm	. Both comments and pings are currently closed.